A new python script for Vue 5 Infinite that coats the outside of an object with an EcoSystem. It won’t cover all faces because of the way it works. It will cover a sphere, cube or cone. For more information read the README file in the zip archive. To me this picture looks as if it's trying to look like a tasty doughnut, sprinkled with hundred's and thousands. 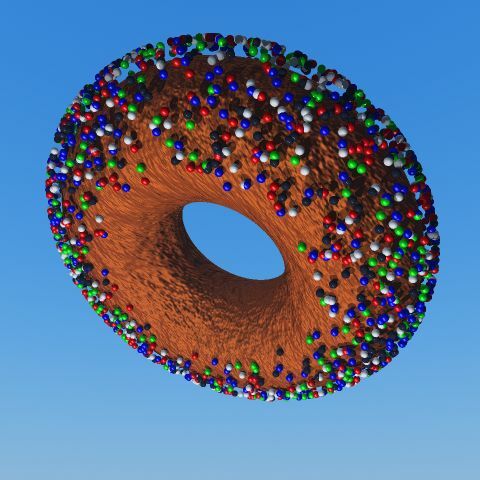 However the texture of the surface of the doughnut reminds me of a dog turd. Is this some sort of psychological test? Thank you for sharing the script!